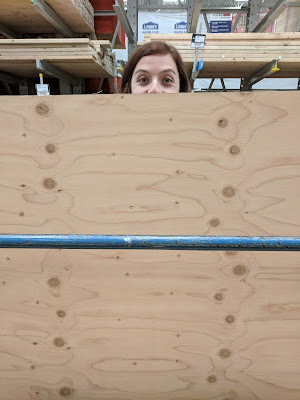 Perhaps by now, dear reader, you may have noticed a few things: 1) it is July, and our approximate date of departure is hurtling towards us faster than a lunchbox on wheels. 2) We haven't posted in a while. Is the trip cancelled!? No, as a matter of fact, we have just been incredibly distracted. 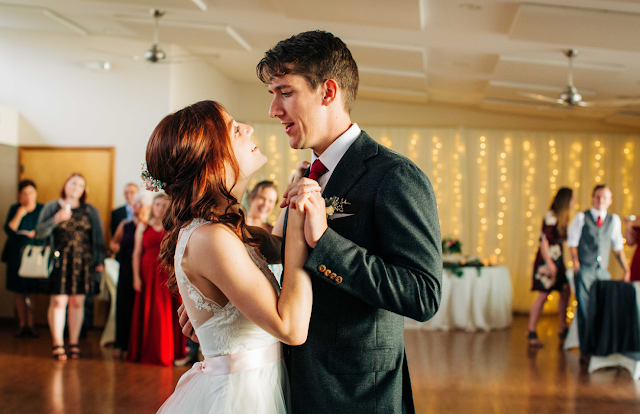 Work, family, and friends fill most of our time, and planning the wedding fills the rest. Now that you know the truth (and see how relatable we are), I can say that while we have been thinking a lot about the trip, the trickle of progress has simply been slow. Fortunately, much of our planning does not really need to take place so far in advance, and is more... "theoretical" in nature. After all, our flight is not for another 5 months. Some aspects, though, require more finesse. 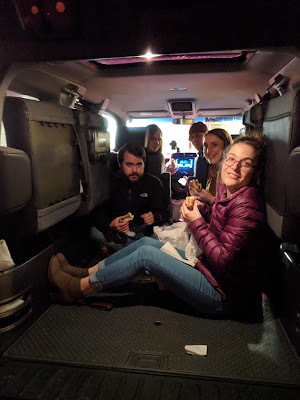 So far we have made our tentative list of people to stay with during our road trip, and plan to start contacting them shortly to develop a timeline. We are designing our sleeping configuration, and, oh yes, I performed the first major repair for our beloved camper-car. Not long ago, I drove the car home from one of my many errands. I placed it in park, and engaged the parking brake, but not before glancing over my left shoulder. I felt as though... something... had passed the periphery of my vision... maybe my conscience? Something was off, but in this moment I couldn't be bothered. I killed the engine, and swung open the door. Sad fool. Had I known what was about to follow, I may not have been so hasty--for you see, the next time this process was to be initiated, there would be no sound from the engine. Two mornings later, I received a call. It was Jill, and the Element would not start. We tried jumping it, but to no avail. At this point we were getting only a small popping sound from the engine compartment. All of the instrumentation operated normally, which meant it was one of two things: 1) the starter, or 2) something I didn't understand. I went ahead and proceeded with Option 1 and started looking at tutorial videos online. Luckily, my parents would be arriving at our home in the coming week (a long story) and my father offered to help me get in there. The procedure was fairly involved, and would require us to remove the intake manifold. Having just one car for a while was not such an issue for the two of us. As the weather has turned, I have been able to ride my motorcycle more and more, so between that and my work truck (not to be used for errands), and our first-gen Prius that is still operating, Jill and I were just fine. However, we would soon have my parents in the house, and they would definitely need a car, so this had to be dealt with quickly. 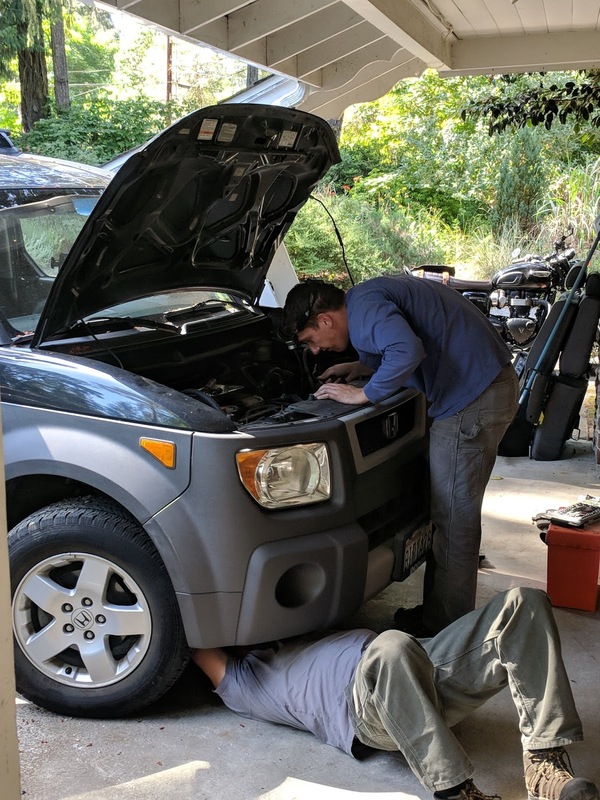 My father arrived, hugs were exchanged, and as soon as he he'd blown out his birthday candles, we were under the hood. Immediately I noticed a couple things: 1) the engine wasn't so cramped once you got in there, and 2) Honda is surprisingly consistent in their bolt sizes. A roar, a wheeze, then silence. Since that whole ordeal, we have actually driven the Element on a trip to Bellingham. It got great gas milage (for this car) and--Awesome News--was very comfortable to sleep in. We parked in our friend's driveway to snuggle up for the night. That is correct, dear reader! 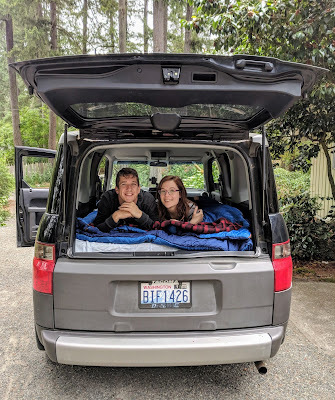 We have finally purchased the mattress and sleeping bag for our road trip! We have a full sized 6" memory foam mattress and a 30 degree double sleeping bag. Very cozy. In this photo we have it set up on our seats, which are folded down with two pieces of plywood on them. It is in no way the final configuration, but it gave us some great insight regarding the spatial challenges we will face while living in this thing. 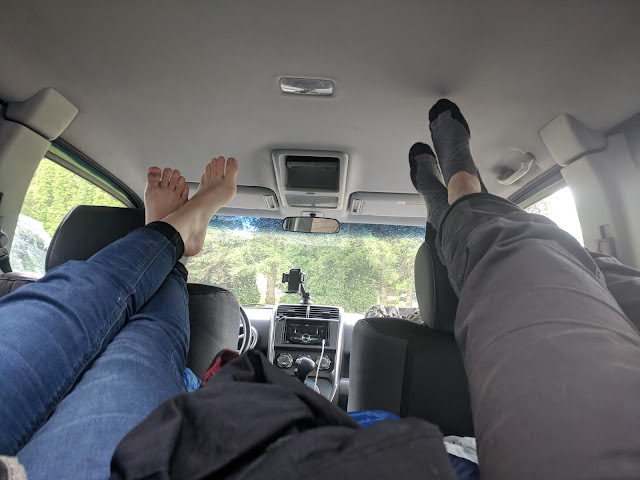 We have some hurdles ahead of us in terms of planning, but spending a night in the car really got us excited for our travels! 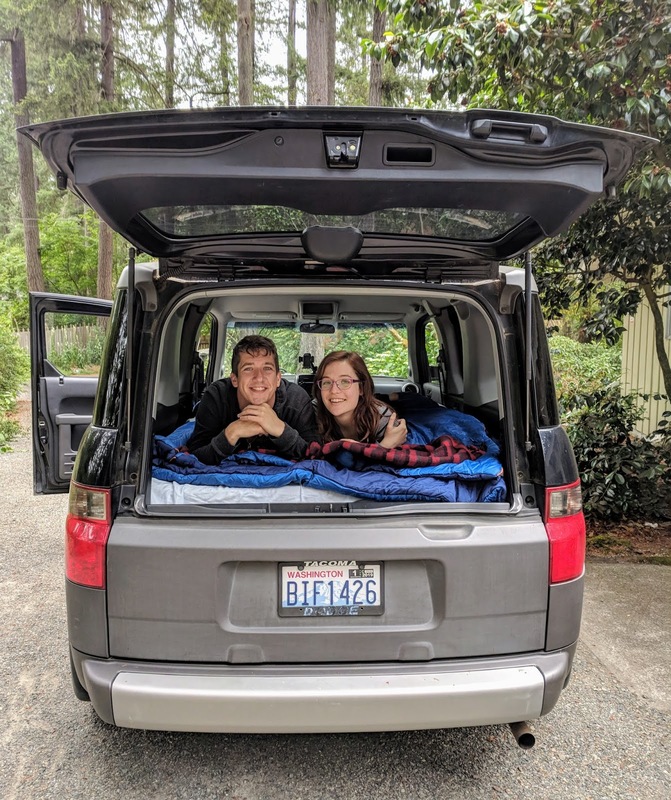 Ultimately, through this whole experience we realized two things: 1) this mattress is fantastic, and 2) whatever challenges we face while traveling around in this car, the reward for overcoming them will be truly incredible.